Sir Terry Wogan may not be the immediate jumping-off point for a post on this site. But, on the day where the news of his passing is shared, I’ll be honest – there was a pang of real sadness for me. Sir Terry was my breakfast radio DJ as a kid. I remember sitting at the dining table with my mum, and him introducing Dr Hook. The fact that Dr Hook were pretty bobbins didn’t matter; it was Terry Wogan. January 2016 really can just do one. Bowie left us. Hans Gruber left us. Even Clarence Reid – purveyor of filthy funk as Blowfly – decided that enough was enough. And now it’s the turn of Sir Terry Wogan to set up stall for a chat show in the sky. For a period in the 80s, Wogan presided over a chatshow of mythical levels of cultural importance. It’s the place where Sting declared his defence of the rainforest as he sat with a Brazillian tribal elder. It’s the place where David Icke became a focus of national ridicule… ‘they’re laughing at you’. It’s where George Best was post-drunk at 7pm in the living room of the nation. It’s also the place where Kate Bush nailed ‘Running Up That Hill’. 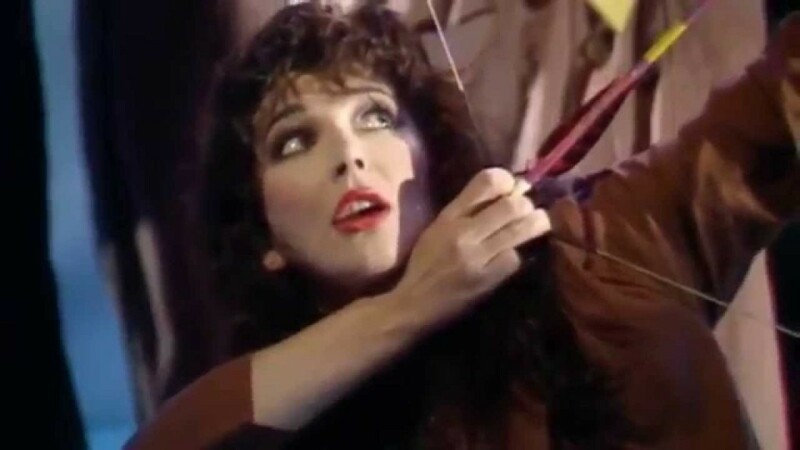 When I heard the news of Sir Terry’s passing, my mind immediately jumped to Kate Bush showing how – in a world where live performance was rare – to still make an impact. This is miming as art. Bring on February. Only Radiohead can save 2016.